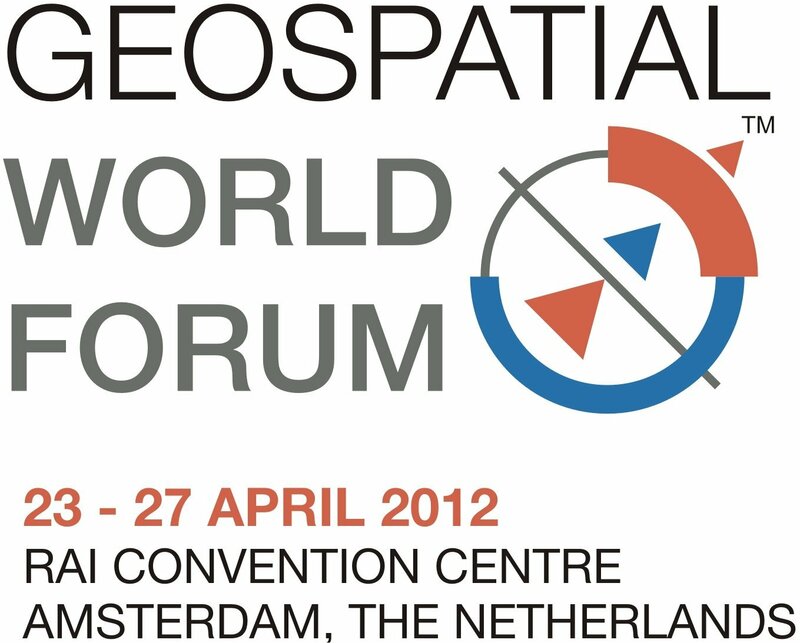 Geospatial World Forum 2012 - Z_GIS as Strategic Partner! 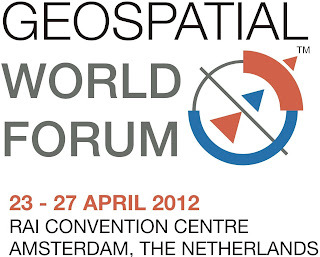 The Centre for Geoinformatics at the University of Salzburg is a strategic institutional partner in Geospatial World Forum' 2012 being held in Amsterdam, Netherlands from 23rd to 27th April, 2012. Z_GIS has been invited to organise a key seminar on 'Realtime Geoinformatics - Live Geography' and Prof. Josef Strobl (Director of Z_GIS) serves as the chair of this seminar. It will bring together industry leaders like Prof. Henk Scholten (CEO, Geodan, the Netherlands), Prof. Euro Beinat (VP, Location Solutions, Zebra Technologies, USA), Steven Ramage (Executive Director, Marketing and Communications, OGC) and many more. As the premium global geospatial industry event, Geospatial World Forum will attract stakeholders, service providers, policy makers as well as end users to a common platform for debate, interaction and global networking. 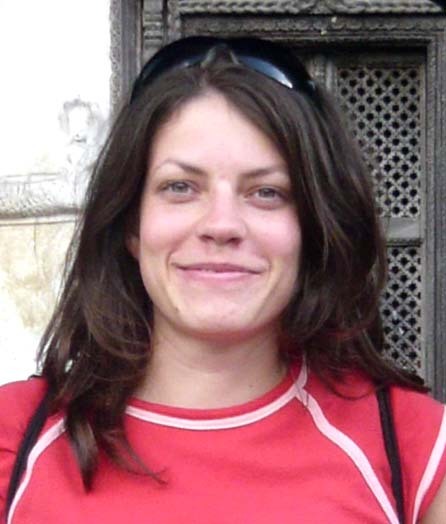 Antonia Osberger is a recipient of a DOC-fFORTE-fellowship of the Austrian Academy of Science for a period of three years. Her dissertation project has the topic: "Object-based image analysis for monitoring the impact of natural stressors in Alpine forest habitats". The fellowship is financed by the Federal Ministry for Science and Research within the initiative “Women in Research and Technology – fFORTE”. The purpose of the programme is to enable young, excellent female doctoral candidates from the natural and life sciences, from mathematics, medicine and technical sciences to carry out their dissertation project. 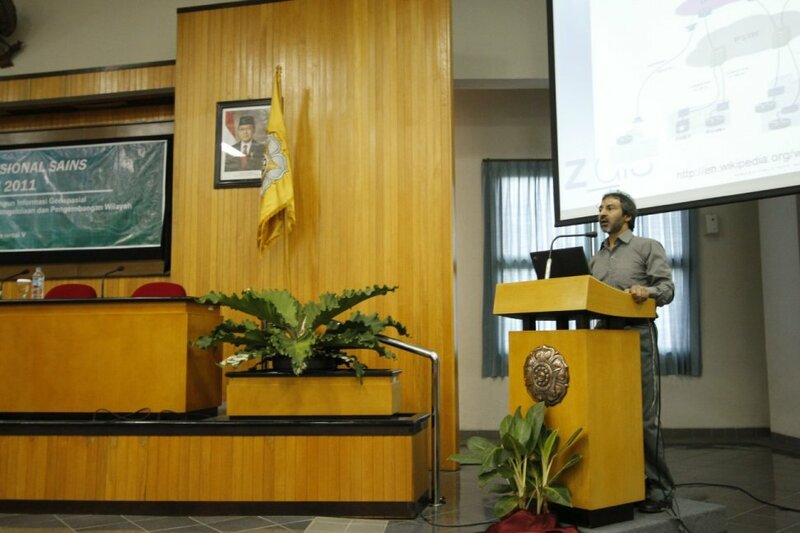 ITB Indonesia invited Z_GIS for a conference keynote! 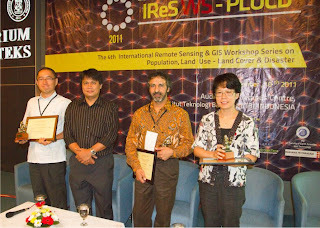 The Institute of Technology Bandung, Indonesia organised 'The 4th International Remote Sensing and GIS Workshop Series on Demography, Land Use-Land Cover and Disaster' on 10th November, 2011 and invited Z_GIS from University of Salzburg for giving the leading keynote presentation. 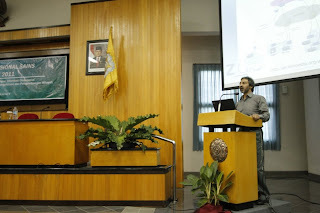 Dr. Shahnawaz, on behalf of Z_GIS, gave the presentation on 'Environment-Development Interface in Mountain Ecosystems' and discussed the socio-economic dyamics of Himalayan societies. His specific case study from the Western Himalayas followed an ecosystem approach and analysed the interplay of human activities as a response to the local natural environment. The presetation was supported with various spatial models and the dynamics of various changes from 1881 to 2011 were demonstrated through an integrated simulation. The GI_Forum further solicits contributions on emerging topics and research outcomes related to GIScience and GI-based education. Geospatial data acquisition, advanced spatial analysis and knowledge extraction, distributed and mobile services, SDI, global change & vulnerability, dynamic modeling and simulation, learning environments for secondary / postsecondary education, and research into learning outcomes, comprise by no means an exhaustive list of conference topics. We will accept online submissions only, starting from December, 1st 2011 at www.gi-forum.org to February 1st, 2012. 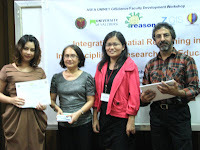 2nd SPATIALreason Workshop completed at University of the Philippines! The second GIScience faculty development workshop on ‘Integrating Spatial Reasoning in Interdisciplinary Research and Education’ started on November 4th and was concluded on Nov 8th. During the inaugural function, Dr. Ranjit Singh Rey representing the Dean of Social Sciences, University of the Philippines (UP) highlighted the relevance of GIScience and technologies and congratulated the organisers for inviting 22 participants from leading universities in Indonesia, Malaysia, Philippines and Thailand. Dr. Darlene Occena-Gutierrez, Head of Geography department, UP welcomed the participants and expressed immense pleasure and responsibility in hosting the workshop. Prof. Josef Strobl (Director, Z_GIS) delivered lectures on advanced spatial concepts and analytical methods and Dr. Shahnawaz (Z_GIS) guided the participants as how to integrate spatial reasoning and analysis in practical projects founded in a broad range of disciplines like Geography, Public Health, Economic Planning, Forestry, Environmental History, Anthropology etc. The closing ceremony was chaired by Dr. Cristine DLR. Villagonzalo, Director, Extension Coordination office, UP. She witnessed the work of the participants through their presentations and distributed the certificates of successful completion to them. Indonesia: 2nd National Symposium on Geoinformation Science! He highlighted that the nature of GIS is changing from a possession or property state to an open service which can make a range of contributions in emergency response and disaster management. 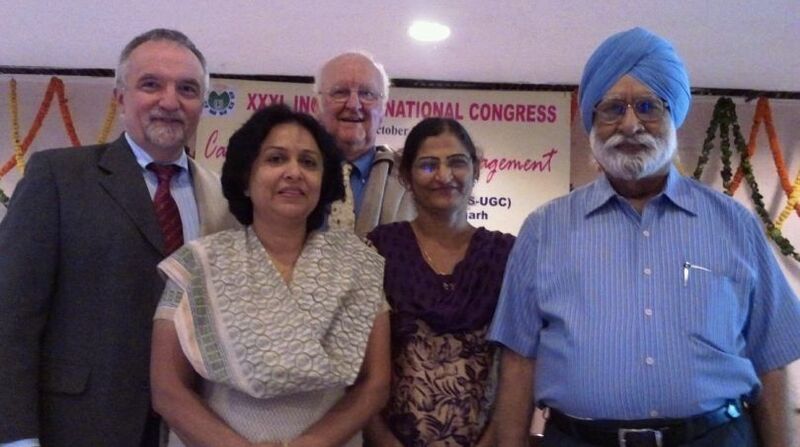 Prof. Josef Strobl (Chair of UNIGIS International and Director of Z_GIS) was invited to deliver the prestigious 'Professor S. P. Chatterjee Memorial Lecture' to the 31st Annual conference of the Indian National Cartographic Association (INCA). This highly anticipated lecture only is organised once every three years, as a tribute to the 'father of Indian Geography', who served as president of the IGU and received the highest scientific awards from his country. Presenting this lecture, Prof. Strobl on Oct 15 in Chandigarh, India, spoke on "Map Interfaces for Disaster Management", discussing and demonstrating how GIScience and online geospatial techniques play very significant roles throughout the full disaster management cycle. From September 19-21, 2011 the final Alp-Water-Scarce Conference (funded in the Alpine Space Programme) took place in Graz. On behalf of the Z_GIS team Hermann Klug, Peter Zalavari and Barbara Hochwimmer presented the WebGIS based Atlas as an output created by the University of Salzburg. This Atlas includes the Alp-Water-Scarce pilot sites. These pilot sites include results from the Alp-Water-Scarce partners responsible for each site. Additionally, as an endeavor to make people understand climate change, Z_GIS implemented a tool enabling users to request temperature a nd precipitation data from climate station data in a defined period of interest. Further Austrian partners contributed to the final Alp-Water-Scarce results. The Federal Institute for Agricultural Economics (AWI) reported on pan-alpine water scarcity impacts resulting from agricultural business while the Federal Environment Agency (UBA) was in charge of analyzing the impacts on water quality. The Federal Government of Styria was in charge of work package 5 "Water System Characterisation" while the Federal Government in Carinthia with its sub-contractors Joanneum Research, the Environmental Bureau Klagenfurt, and the Carinthian Lake Research institute was contributing to the Austrian/(Slovenian) pilot sites. In the framework of the eContentplus programme (now called ICT PSP) the GS Soil project opened the GS Soil Portal for retrieval of seamlessly available soil data across Europe. The first testing phase has been successfully finished. Presently we are looking for volunteers further testing of the portal functionalities. We are also inviting all data providers to join our efforts towards a comprehensive soil portal, making soil datasets seamlessly searchable across Europe. In case you are interested please do not hesitate to contact the project coordinator Katharina Feiden. In the framework of an Interreg IVa project LIDAR datasets have been recorded in the Austrian-Bavarian border region (Salzburg, Tyrol, and Berchtesgaden). The pre-processed LIDAR data result in Digital Surface Models (DSM) and Digital Terrain Models (DTM) from which vegetation heights as normalized canopy height model (nCHM) have been extracted by using Object Based Image Analysis (OBIA) techniques. The objective is to calculate vegetation based shadow areas for different time periods. This will be an input parameter for the evaluation of existing and planned alpine skiing slopes. In cooperation with the Centre for Meteorology and Geodynamics (ZAMG) a Snow Height Index (SHI) will be developed and spatially explicit represented for past, present and future snow heights at different years and times. September 5-9 2011, the world cultural heritage city of Salzburg is the setting for IAMG 2011, the Annual Conference of the International Association for Mathematical Geosciences. The Conference is intended to be a forum for exchanging ideas on theory and the practical application of a broad spectrum of mathematical geosciences concepts, addressing a wide range of geoscientists and civil engineers, and prov iding opportunities for students and young scientists to engage with some of the best geosciences minds in the world. Besides covering IAMG core topics like geostatistics, reservoir modeling, 3D modeling or geo-process simulation, IAMG 2011 contributions address applied mathematical geosciences issues with a specific reference to alpine regions: simulation and modeling in hydrogeology and engineering geology as well as geohazard modeling. The broad thematic range of IAMG 2011 is organized in 22 sessions with a total of 164 peer-reviewed contributions, which are available as open-access publications on www.iamg2011.at. 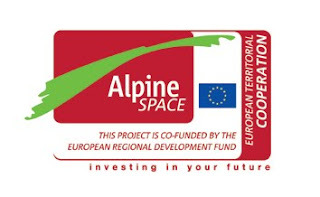 The project on "Capitalising Climate Change Knowledge for Adaptation in the Alpine Space" (C3-Alps) will synthesize, transfer, visualise and implement policy and practice results of previous Alpine Space climate change adaptation projects. The capitalisation approach aims at generating new and directly usable forms of state-of-the-art synthesis adaptation knowledge in the Alps. Harmonised findings and datasets across disciplinary sectors are made available for transparent and effective implementation of adaptation measures by decision-makers. Effective, efficient and tailor-made communication and transfer of climate change impact findings are ensured to target groups in order to support governance frameworks and initiate cross-cutting adaptation processes, strategies, action plans and decision support in pilot regions and municipalities. To leverage sustainable impacts, the project will be driven by the information and user needs of target groups. By supporting bottom-up action. C3-Alps will contribute to implementation of national adaptation policies on regional and municipal levels and to advancement of national adaptation strategies. Z_GIS will be active in spatially explicit decision support by collecting and synthesizing spatial datasets in a one-stop-shop Alpine portal. This project on " Smart aquifer characterisation of New Zealand's aquifers" will identify, develop, apply, validate and optimise a suite of novel methods for accurate, rapid and cost-effective characterisation and mapping of New Zealand’s aquifer systems. By 2017, the outputs from the research programme will be used nationally by stakeholders such as a regional authorities and will lead to better understanding of key aquifer systems. By 2020, national adoption of outputs from the research programme will have led to a demonstrable improvement in the management of groundwater and interconnected surface water systems. Z_GIS will set-up an operational Sensor Observation Service in order to validate remote sensing applications done by partner institutions. Based on a harmonized Spatial Data Infrastructure of hydrological datasets a 3D WebGIS will be set-up and operating as a Decision Support System for New Zealand's stakeholders which a part of the project.